So, now I needed to cut the second side of the track for my deadman and I decided to do that with my rip saw (note: this is probably a better experience when its not 90 degrees in your shop). 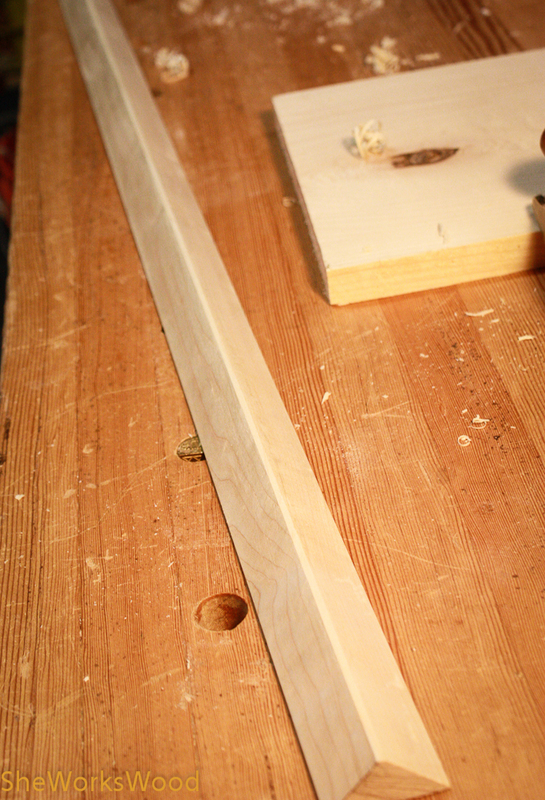 I marked out my line and created a V with my chisel and started ripping. 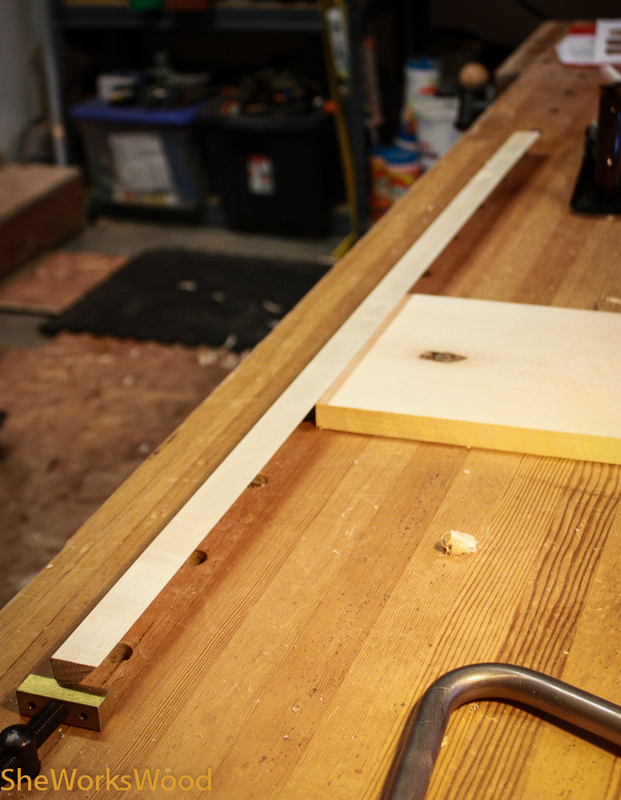 I put the board straight up in my vise and did a fairly decent job of staying on the waste side of the line. This all worked pretty well until I got to the last 2 inches. Then I had to get a little creative. Now I had to figure out how to clean up the new edge I had just created. 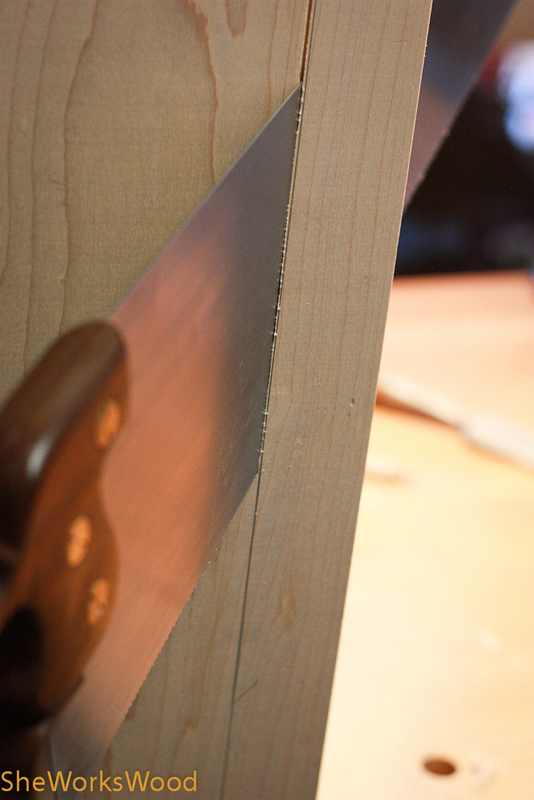 I tried sticking it to the very edge of the work bench with turner’s tape and using my Jack plane. That worked OK. 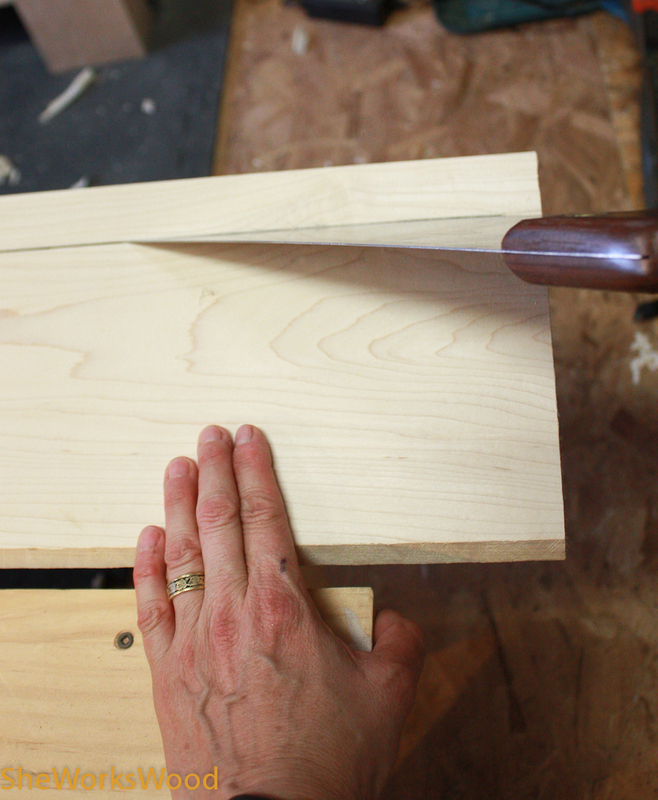 The best method was using my bench dog with my surface vise and using my block plane to clean things up. 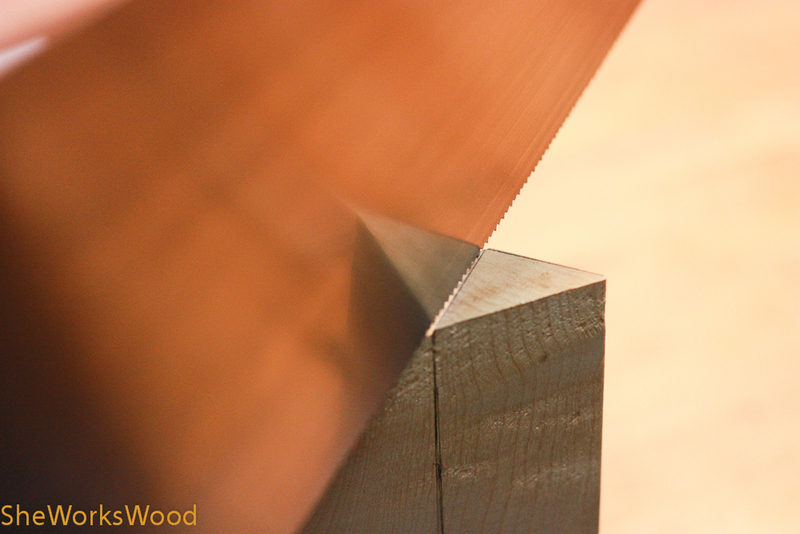 Fortunately, I didn’t need to remove a lot of material, just clean away the saw marks. An voila! I had a stick the right size and shape for my track. This entry was posted in dead man, workbench and tagged workben. Bookmark the permalink.